I saw this blue metallic wool in Hobbycraft and couldn’t resist buying a ball. 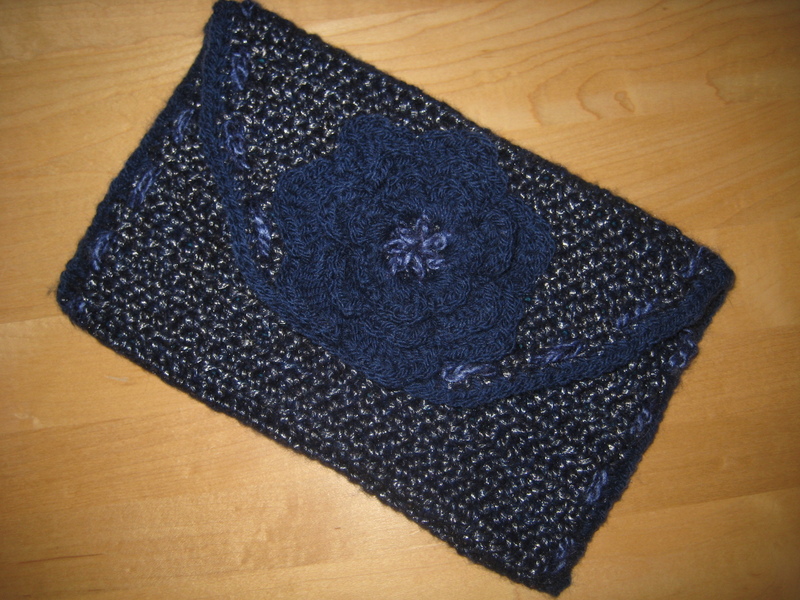 One ball of wool isn’t really enough to make much but I saw an idea for an easy purse and scaled it up to make a clutch bag. This was quite a good project for me as making the lining gave me a chance to use the buttonhole function on my sewing machine, which I haven’t done before. It was actually surprisingly easy to do! 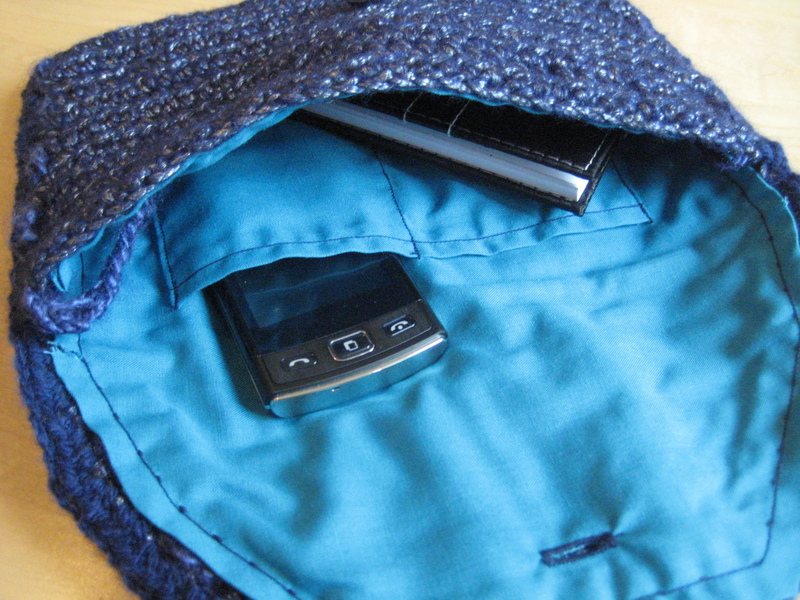 I also stitched some pockets into the lining (making sure my phone will fit into at least one of them)! To make the bag I just crocheted a rectangle and then decreased my stiches to make the flap once it had got to the right size. I made a hole at the start of each row by doing an extra chain and missing a stitch so that I could weave the trim through afterwards. Extending the trim gave me an easy handle. It’s made from a chain of chunky silk-mix wool. 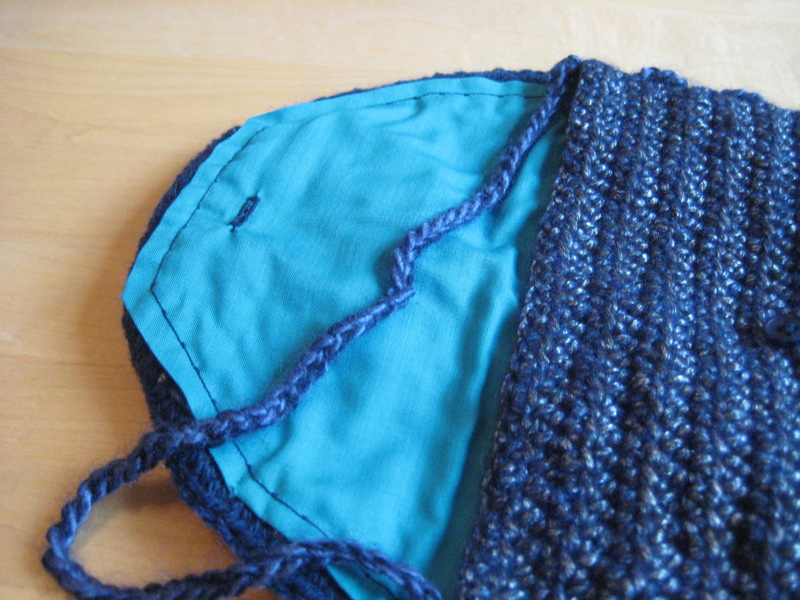 I sewed in the lining by hand before crocheting the sides together and around the top flap. Originally I was thinking of putting a red and white flower on the bag but I have started to feel that having the colours of the British flag on everything is getting a bit gimmicky, so I went for shades of blue instead. 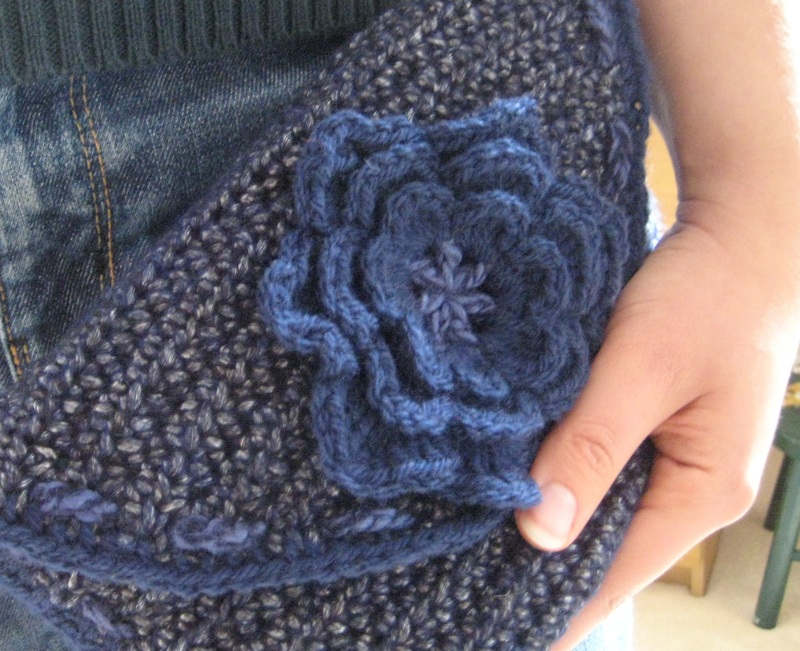 The flower hides the button fastening. I even have some of the metallic wool left over so I might make some flowers to put on cards or hats!